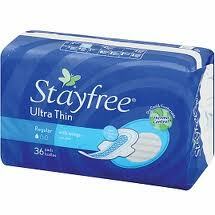 Get a free sample of Stayfree Ultra Thin Regular Pads! Simply fill in the information fields required to receive this free sample. Get your Free sample of Stayfree Ultra Thin Regular Pads now!